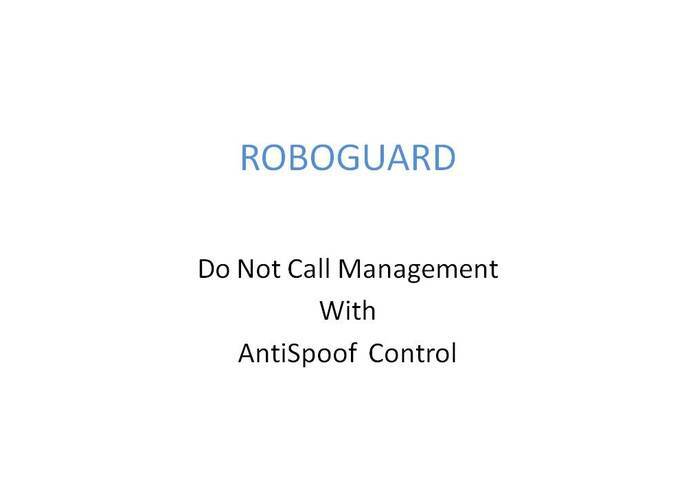 RoboGuard is a Real Time Transaction based system that provides an audible warning to Network Customers when an incoming call is on the Do Not Solicit list. The system also allows the customer to report RoboCalls to a Central Processing system in real time. The system is designed to use Caller ID information when accurate data is available. An enhanced version provides a similar service when the caller provides false Caller ID information.